Friday January 27—the day Auschwitz-Birkenau was liberated—is International Holocaust Remembrance Day. This day calls for people around the world to remember and honor the victims of the Holocaust—those who perished and those who survived to tell their story. Read how one survivor found healing through the Facing History students who listened to her after years of staying silent. 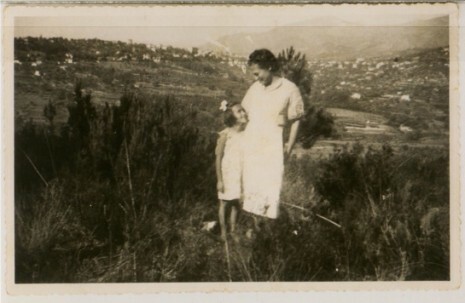 For many years, my past as a Jewish child hiding from the Nazis during the World War II was obliterated from my memory. Finally I realized that I needed to face a huge and painful void in my life. The opportunity came as a friend invited me to speak to a Facing History and Ourselves classroom. Sharing my story has compelled me to articulate events still murky in my mind and to recover a sense of my childhood years and a bit of my lost identity. Remembering was painful. Only when I began to talk did I become, suddenly it seemed, aware of the feelings that accompanied the traumatic events I had never spoken about before. Becoming unexpectedly emotional in front of a group of unsuspecting students was a bit embarrassing, but quite liberating at the same time. I want to emphasize the power for me, of being with students as they respond to a story like mine. Their mere listening provides a lot of healing. Sharing makes you feel as though you have a story, that you are not alone anymore. Once I realized the impact these young people had on me, I began to thank the students. I wanted them to understand the positive impact their listening had on me and to make them feel good and acknowledged. In telling about the war, I try to emphasize a range of powerful stories relating to human behavior and involving love and courage triumphing over hatred and racism. I share with them my own story of survival, how a Jewish actor, with the help of the bishop of Nice, France, disguised himself as a priest and managed to save over 500 children from the Nazis, including me. I still have trouble sharing the horror stories, such as when my teacher asked during class, “Who here is Jewish?” and my friend raised her hand. Our teacher denounced her. Instead I focus on the positive, and that has helped me. Eventually I decided to talk about my life journey, describing how I have faced the traumatic events in my life and worked to overcome them. I think it was helpful for me and may be helpful to others who have a similar story, to talk about how my traumatic experiences in the war impacted my sense of identity; how I had to create and find my particular sense of self by acknowledging my background and making the best of it, becoming involved in social causes, becoming a psychologist, writing about the war, creating a life. In telling my war story in R. D. Rosen’s recent book Such Good Girls: The Journey of the Holocaust’s Hidden Child Survivors, I was able to go into more detail than I usually do in the classroom, but with great difficulty. I struggled with remembering all of the details from the past, but the ordeal of recovering more memories with the author’s help was, again, a healing tool. The book has provided me with a whole new way of being heard as people all over began to read it. The book shares the life journeys of three of us survivors, highlighting different aspects of our stories. It allowed me to express my individual struggles and achievements, and to feel and show my vulnerabilities, while being part of a group doing the same. The book also highlights the conflicts all three of us have speaking about our “hidden” childhoods, our lingering struggles with conflicting religious identities (“Am I a Christian or am I a Jew?”), and our sometimes-challenging searches for our places in the world. The idea of being hidden and then coming out of hiding, of feeling known and understood as someone who’s part of history, of not being forgotten, is very powerful. Sharing stories in writing and through direct connection with audiences are both crucial. Speaking with audiences creates a powerful feeling of being part of the present and of being acknowledged, while writing stories down helps us become part of both the present and the future, to become part of the history of the world, sometimes in unexpected ways. Check out our Witnesses to Testimony page to find resources, video testimonies, and tips on using testimony like Flora's in your classroom. This was originally posted on September 18, 2015. Flora Hogman was a hidden Jewish child during the second world war and frequently speaks to Facing History students in New York. You can read more about her story in R.D. Rosen's book, "Such Good Girls," (Harper Collins) now available in paperback.